More than a century has passed since Theodore Roosevelt was in the White House, but he still continues to fascinate. Never has a more exuberant man been our nation's leader. He became a war hero, reformed the NYPD, busted the largest railroad and oil trusts, passed the Pure Food and Drug Act, created national parks and forests, won the Nobel Peace Prize, and built the Panama Canal-to name just a few. Yet it was the cause he championed the hardest-America's entry in to WWI-that would ultimately divide and destroy him. His youngest son, Quentin, his favorite, would die in an air fight. How does looking at Theodore's relationship with his son, and understanding him as a father, tell us something new about this larger-than-life-man? Does it reveal a more human side? A more hypocritical side? Or simply, if tragically, a nature so surprisingly sensitive, despite the bluster, that he would die of a broken heart? 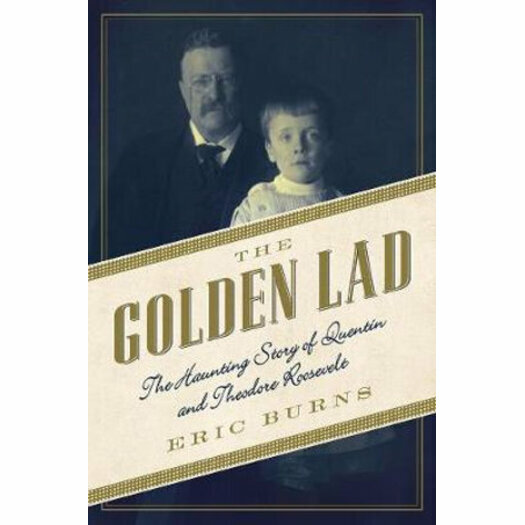 Roosevelt's own history of boyhood illnesses made him so aware of was like to be a child in pain, that he could not bear the thought of his own children suffering. The Roosevelts were a family of pillow-fights, pranks, and "scary bear." And it was the baby, Quentin-the frailest-who worried his father the most. Yet in the end, it was he who would display, in his brief life, the most intellect and courage of all.